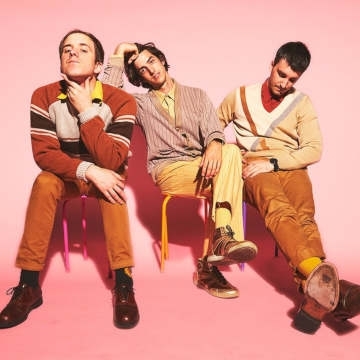 (Los Angeles, CA) Long Beach based trio half•alive (Josh Taylor [vocals], Brett Kramer [drums], and J Tyler Johnson [bass]), have just dropped their new track “arrow” along with a video directed by lead vocalist Josh Taylor today. “arrow” (along with “still feel.”) are available at all digital retails providers now via RCA Records. half•alive recently wrapped their completely sold out first-ever headlining tour and are currently in the studio working on their debut album.